Our 100% natural MARPHYL® Liquid Sea Salt will let you reduce your sodium intake without compromising the taste of your food. 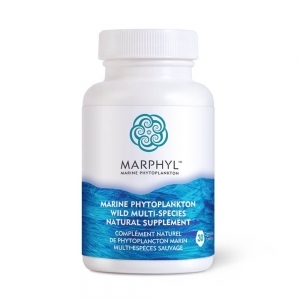 Our unique harvesting method helps to retain many natural trace minerals (calcium, magnesium, potassium, iron, copper, zinc and sodium among others), which are easily absorbed by the human body and provide many therapeutic benefits. Sea salt is naturally present in the ocean and contains many essential nutrients and minerals such as calcium, magnesium, potassium, iron, copper, zinc and sodium among many others. These natural nutrients and minerals are valuable for a healthy functioning body. Sea salt contains over 80 minerals whereas table salt contains 2 to 3 minerals. 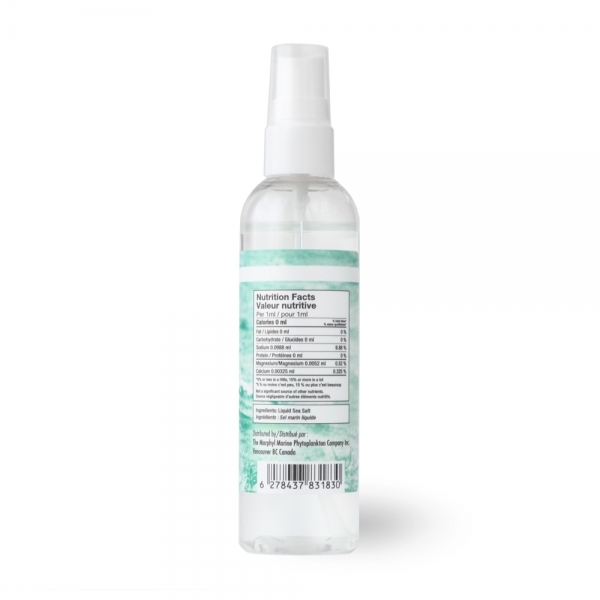 Our Liquid Sea Salt contains 9.88% sodium, which is 75% less sodium than our regular Sea Salt. Our Liquid Sea Salt allows you to use less salt on food because it can be spread out more easily. It is perfect for salads, stews, stir-fry dishes, as a popcorn flavour and as a table-side seasoning. 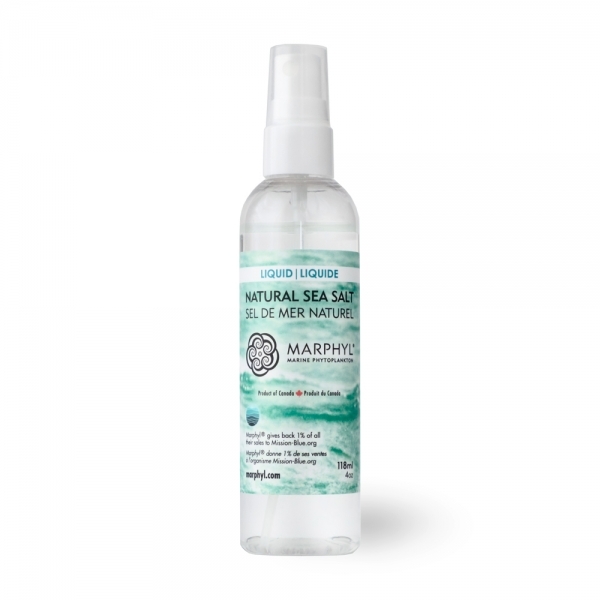 MARPHYL® Liquid Sea Salt is a 100% pure all natural sea salt. 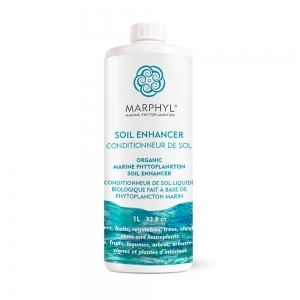 The harvesting method helps to retain its natural trace minerals, which are easily absorbed by the human body and provide many therapeutic benefits. The sea salt is collected after the marine phytoplankton has been harvested from the ocean water in the tanks. This water is then naturally dried in our greenhouses to retain its minerals resulting in a high quality concentrated Liquid Sea Salt. 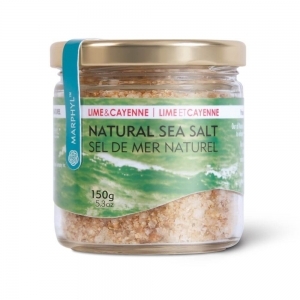 Our Liquid Sea Salt is best used to flavour your food, salads, stews, and even as a popcorn seasoning.